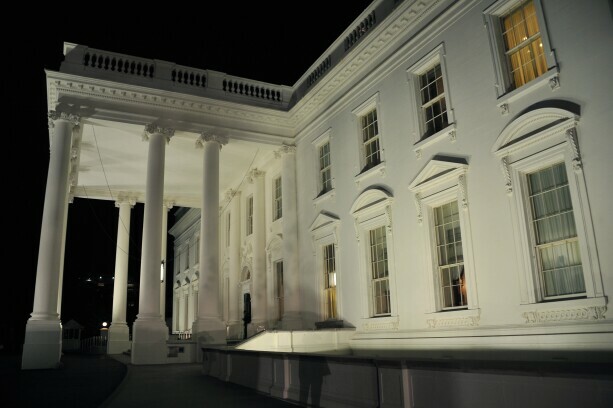 The exterior of the White House. An under-the-radar ethics dilemma brewing at the National Labor Relations Board could have a bigger impact on Trump administration policy and personnel than other allegations of high jinks getting lots more attention. A political appointment that was supposed to be a feather in prominent attorney William Emanuel’s cap is threatening to become a thorn in his side. The problem: The NLRB inspector general recently said Emanuel (R) shouldn’t have participated in two important labor cases tied to his former law firm, Littler Mendelson. The board used one of the cases—Hy-Brand Industrial Contractors—to overturn a decision in the other case, Browning-Ferris Industries, in which Littler represented a staffing agency. Now Emanuel’s participation in another precedent-setting case involving Boeing, also a Littler client, is being questioned by a union advocate. The saga hasn’t attracted anywhere near the focus that other ethics inquiries have, such as the spending and lobbyist condo snafus threatening to cut short Scott Pruitt’s tenure at the Environmental Protection Agency. But while Pruitt continues to forge ahead with plans to erase Obama administration actions, the conflict-of-interest questions could handcuff a five-member labor board that needs a majority vote to overturn earlier decisions. “Frankly, it doesn’t matter how great of a job an NLRB member would do if recusal issues stop them from casting the deciding vote,” National Right to Work Committee spokesman Patrick Semmens told Bloomberg Law. The group is among a wide range of conservative and business organizations that want the board to undo a slew of decisions issued during Obama’s reign. At the top of the hit list is a dispute over shared liability for multiple businesses, the issue at the center of the Emanuel cases. In what situations can one business be considered a “joint employer” of another’s workers for unionization and other purposes? McDonald’s and Microsoft have found themselves in the crosshairs of that contentious and far-reaching debate. The fast-food giant is on the verge of settling claims that the company is a joint employer of workers at franchise restaurants across the country. How the NLRB answers the joint employment question will affect how companies in franchise, staffing, and other contractual arrangements do business. It will also affect unionizing efforts for labor organizations whose private sector membership rates are on the decline. 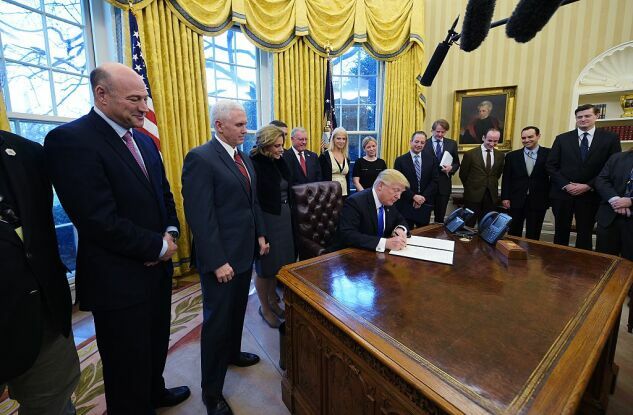 President Trump signs an executive order on ethics commitments by executive branch appointees shortly after taking office. The Emanuel controversy is testing the limits of an executive order and White House ethics pledge that requires presidential appointees to sit out matters involving their previous employers or their own former clients for two years. Democrats have pushed the idea that officials should steer clear of moves that could indirectly benefit their former bosses or clients. That includes cases in which a decision could affect a former client in a separate legal dispute, such as by changing a legal precedent in one case in a way that could be useful to a former client in another case. Some have also suggested that labor board members sit out cases involving a former firm’s clients, even if the firm isn’t representing that client in the case. A union lawyer has already asked the board to rule that Emanuel should have recused himself from another closely watched dispute, this one involving workplace rules at a Boeing plant in Seattle. “There is at least the appearance of a conflict when the case involves a company that is a client that your firm is making money off of,” David Rosenfeld, a lawyer for the International Union of Painters and Allied Trades, told Bloomberg Law. Rosenfeld is a partner at California firm Weinberg, Roger & Rosenfeld. Big law firms and their lawyers are concerned that the White House may think twice about tapping attorneys with long client lists for political positions. Those jobs often come with a lot of cachet for practitioners in specialized fields like labor law and can lead to a big pay day when the attorneys return to the private sector. Meanwhile, more controversy could be on the way. The Senate April 11 confirmed another management-side lawyer from a well-known labor firm. Morgan Lewis attorney John Ring’s addition to the board gives Republicans control of the NLRB. Sen. Elizabeth Warren (D-Mass.) expressed concern about Ring’s impartiality. “Mr. Ring’s long list of clients is a big red flag: either he’ll ignore the ethics rules when they’re inconvenient, like Mr. Emanuel, or he’ll likely have to recuse himself from important cases,” she said in floor remarks before an initial vote on Ring’s confirmation. The board and its 1,400 or so employees monitor union elections and police employers for unfair labor practices, like retaliating against striking workers or interfering with a worker’s right to discuss collective activity on the job. The agency is essentially the sole enforcer of federal labor law because businesses, workers, and unions can’t pursue cases directly in court. A White House spokesman didn’t respond to Bloomberg Law’s requests for comment on the Emanuel investigation. Emanuel joined the board in September, giving Republicans control of the NLRB for the first time in nearly a decade, but only briefly. Then Chairman Philip Miscimarra’s (R) term expired three months later. The board used the Hy-Brand case to address the critical joint employer liability issue shortly before Miscimarra left. The NLRB scrapped a 2015 decision in Browning-Ferris Industries in which the board said a company can be considered a joint employer of another business’s workers if it exerts even indirect control over them. Critics of Browning-Ferris said the “indirect control” approach threatened businesses by possibly requiring them to bargain collectively with another company’s workers, among other concerns. Fast-food workers and union members protest outside a McDonald’s restaurant in Oakland, California, on Feb. 12. In the McDonald’s case, the board’s former general counsel alleged that the fast-food company is a joint employer of franchise restaurant workers who said they were punished for participating in demonstrations. Shortly after Microsoft implemented a policy to do business only with suppliers that offer workers certain paid leave benefits, workers at software testing company Lionbridge demanded that the tech giant collectively bargain with a union looking to represent them. Supporters of expanded joint employer liability say it cuts through the complicated maze of contractual arrangements that some companies create to avoid any responsibility for workers. That means giving workers a seat at the table with the companies that actually set the terms and conditions of their jobs. The NLRB in a December ruling in the Hy-Brand case reverted to a more limited joint employment test, requiring a business to exert direct control over workers to be liable for unionization and unfair labor practices. Some two months later, the board’s other three members—Chairman Marvin Kaplan (R), Lauren McFerran (D), and Mark Gaston Pearce (D)—scrapped that decision after NLRB Inspector General David Berry said Emanuel should have recused himself from the case. Hy-Brand was too closely tied to Browning-Ferris, in which Emanuel’s former firm represented a staffing agency that provided workers at BFI’s California recycling plant, Berry said. He pointed in particular to emails from Miscimarra to the other two Republicans then on the board, informing them that the goal was to overturn Browning-Ferris using a template decision and asking for minimal edits to that draft. Berry said Emanuel violated the pledge a second time by joining other board members in urging the agency’s general counsel to ask an appeals court to send Browning-Ferris back to the board without ruling on the case. Critics say Berry’s analysis conflates traditional recusal requirements with a broader call from some corners for Emanuel to stay away from any case touching the joint employer question while Browning-Ferris is still before an appeals court in Washington. They’ve pointed out that Berry in 2010 approved then-Member Craig Becker’s participation in a case involving a Service Employees International Union local, although Democrat Becker had previously worked for the SEIU. Dwight Bostwick, the white-collar criminal defense attorney at Zuckerman Spaeder who Emanuel hired to represent him in the investigations, said Democrats are using ethics complaints to prop up the Obama labor agenda. “Undoubtedly, this decision will be used to ‘weaponize’ the ethics rules for the purposes of improperly excluding presidential appointees from doing the jobs they were sworn to do,” Bostwick wrote in a letter to Berry. Bostwick has also called for the White House counsel’s office to determine whether Emanuel violated the ethics pledge. One question is whether shaping legal precedent in one case that could affect a former employer or client in another case qualifies as a “particular matter” that appointees are required to avoid. The other is whether ruling in favor of a company that your former firm represents in other legal matters crosses the conflict-of-interest line. Rosenfeld, the painters union attorney, wants the board to also scrap a separate December decision in which the NLRB loosened its approach to workplace conduct rules. The board ruled that Boeing, which Emanuel’s former firm represents in other cases, was permitted under federal labor law to ban workers from using devices to take photos at certain job sites. That decision was applauded by business advocates who said the Obama board made it too difficult for employers to craft neutral workplace policies. Littler Mendelson spokeswoman Jennifer Klein declined to comment for this story. Emanuel intends to stay on for the rest of his five-year term, sources close to him told Bloomberg Law. Advocacy groups have bolstered his defense by chiding the other board members for icing Emanuel out of the latest Hy-Brand ruling. Trump-appointed NLRB General Counsel Peter Robb recently urged the board to reconsider Hy-Brand, calling the move to drop that case without consulting Emanuel “unprecedented.” Robb has courted his own share of controversy in his first few months on the job by suggesting overhauling the agency and reducing its footprint in the field. Emanuel supporters have also called on Berry to investigate Democrat Pearce for allegedly telling a group of lawyers that a “big decision” was on the way one day before the board voted to scrap the previous Hy-Brand decision. One group requested that the Council of the Inspectors General on Integrity and Efficiency look into whether Berry improperly disclosed information about the board’s deliberative process in his reports. A political appointment often means a pay cut for private sector attorneys. But a seat on the NLRB also offers a status bump among the labor and employment bar that can translate into big bucks for those who go into private practice after a stint with the government. For Emanuel, who practiced law in California for decades before joining the board, the NLRB seat was supposed to be a career capstone. Instead, it may prove to be a cautionary tale for other prominent lawyers up for jobs inside the Beltway. Ring, the board’s newest member, is hoping to avoid the spotlight. His firm has represented companies such as Boeing, Amazon, J.P. Morgan Chase, and Pfizer. “I don’t want to be in the situation Member Emanuel is in and I don’t want to put another cloud over the NLRB,” Ring told a Senate panel in March.